Microsoft and HEC organize ‘Academic Day’ at Sukkur IBA University. The Higher Education Commission (HEC) of Pakistan and Microsoft Pakistan have collaborated to pursue a joint initiative for promoting the use of advanced Information Technology and Cloud computing solutions, in the education sector of Pakistan. It is a pioneering and insightful initiative that includes a mega event organized every academic year, in major universities across the country. ‘Microsoft Academic Day’ was recently organized at the Sukkur IBA University – a bustling city on the banks of the Indus River. The series of events comprises of discussions on the Education Transformation Agreement (ETA) between the two organizations – its impact and role in the education landscape of Pakistan. The ETA helps the faculty & students remain up-to-date with the latest technological advancements, through technical trainings, workshops & seminars. Furthermore, Academic Dayshowcases Microsoft Azure and Cloud computing, how it is revolutionizing Education across the world and its potential role in the Education industry in Pakistan. The event celebrates the commitment of HEC and Microsoft to deliver advanced training and bootcamps, along with the free distribution of cutting-edge software packages to universities across the country. HEC – a governing body for higher education has taken numerous ICT initiatives to provide advanced services to the education and research communities in Pakistan. 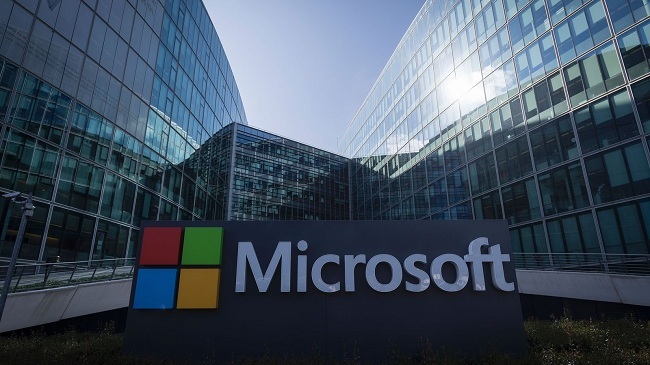 Microsoft (Nasdaq “MSFT” @microsoft) is the leading platform and productivity company for the mobile-first, cloud-first world, and its mission is to empower every person and every organization on the planet to achieve more. Microsoft is investing $75 million globally, over three years, to increase access to computer-science education and bring the latest technologies and tools for all youth, especially the students and the deprived communities. HEC also announced Microsoft’s Student Advantage Program which aims to provide free access to Windows 10 for more than 1M university students to help them benefit from the Windows 10 Education. Windows 10 Education is a specific configuration of Windows 10 Pro that offers a familiar, productive Windows experience that’s streamlined for security and performance. Similarly, Office 365 offers students enrolled in Higher Education in Pakistan, free-of-cost access to their frequently used Office products; Word, Excel, PowerPoint etc. and many other cloud services. Professor Nisar Ahmed Siddiqui – Vice Chancellor Sukkur IBA, started the proceedings with a warm welcome extended to all the guests, and highlighted the role of HEC & Microsoft in Education, saying “The opportunities, this alliance opens up for students of our University are unparalleled, and I would encourage our faculty & students to make the most out of these engagements”. As devices and technologies become more accessible and the capabilities grow – especially when laptops (2-in-1) are being distributed by HEC under the Prime Minister’s Laptops Scheme, Microsoft’s initiative seeks to enhance the understanding of students through effective training and briefings about the latest technologies. It is closing the skills gap, to empower students in Pakistan to achieve more. Both HEC and Microsoft are partnering with more and more educators, on their journey to redefine learning. Core to their mission is the creation of immersive and inclusive learning experiences that inspire life-long learning.